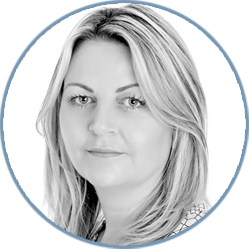 Victoria obtained her degree in personnel management in 2001 and is a qualified member of the CIPD. Victoria is an experienced HR generalist dealing with contentious and non-contentious employment law issues on behalf of the Firm’s clients and our personnel. Victoria offers pragmatic advice on all aspects of HR including, but not limited to, dismissals/grievances, absence/performance management, redundancies, restructures, TUPE transfers, settlement agreements, contracts of employment, consultancy agreements, and post termination restrictions. Victoria is a consultant to the Firm and works closely with Natasha and Roselyn in our employment law team. In her spare time Victoria enjoys travelling, reading, devouring a box set and the occasional lap around Bluewater Shopping Centre.